I'm Curious Too: Why Do Cats Love Being in Circles? 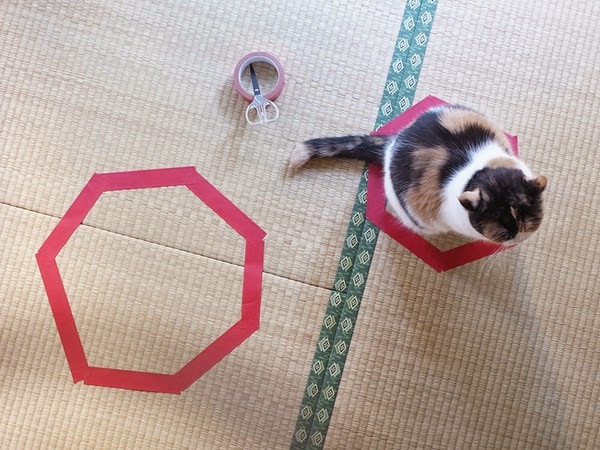 I guess most of you have seen this because it's been all over the internet over the past two weeks; a cat owner makes a circle on the floor using masking tape, a wire or a rope, and the cat, as if drawn by a mysterious, unseen force, walks into the circle. All. By. Itself. After reading from the website, one of my friends—an avid cat lover—started an experiment of her own using masking tape and, voila, it worked! 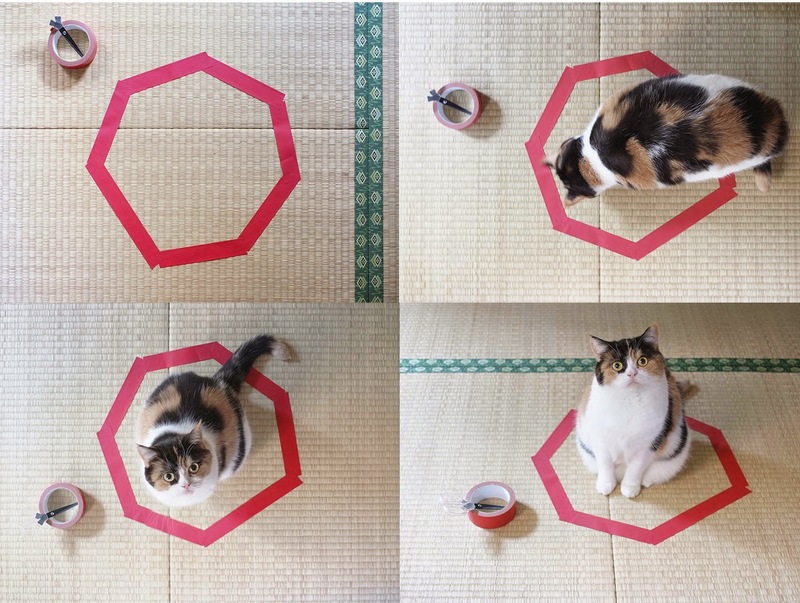 Interestingly, according to a Taiwanese website, cats also favour smaller circles, especially those that have more or less similar diameter to the cats' body. But why? What triggers the cat to behave in such a way? Do cats have a secret affinity for circles? "I think there are two quite simple explanations," said Dr Sarah Ellis, a research fellow from the University of Lincoln, when contacted through email. "The first is that the cat is drawn to investigate the novelty of the mark on the floor," she said. There's no surprise there—curiosity is one of the primary traits of cats (hence the idiom curiosity killed the cat). I used to own a cat when I rented a room out of campus several years ago. And once in a while, knowing that the cat would investigate all sorts of things, I would make strange clicking noise from my room to lure the cat into my room so that I could pet it. 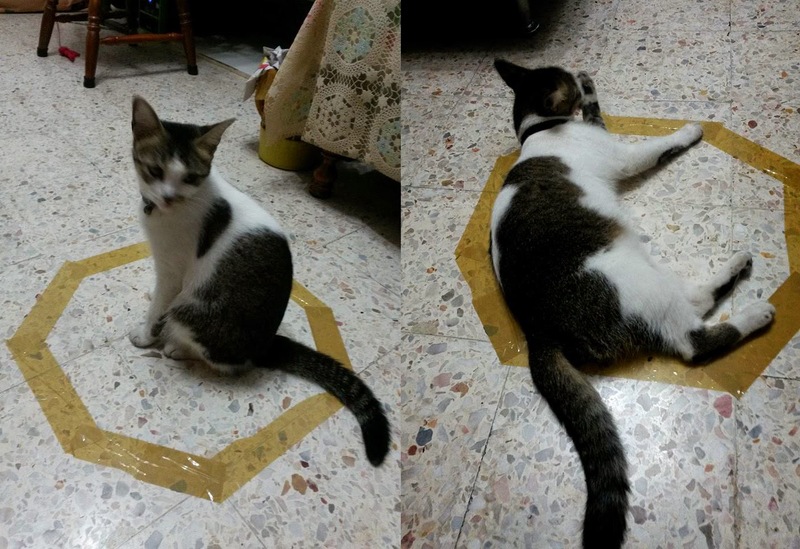 But is curiosity alone enough to prompt the cat to sit and rest in the circles? "Cats like to feel safe and secure, and they do so by getting into small spaces. Even the smallest lip on something is enough for a cat to feel safe and secure. For example, you will often see cats rest in their litter trays at shows, this is because the lip of the tray gives the cat added perceived security." 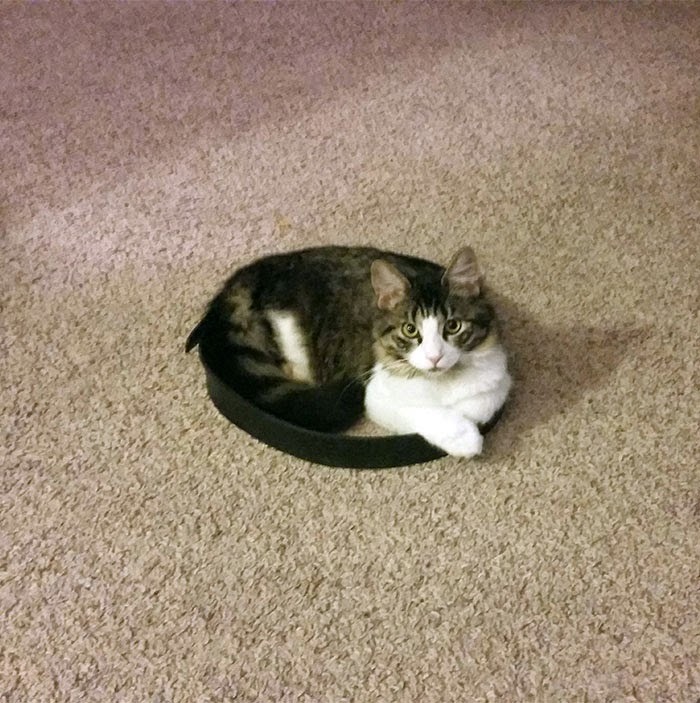 Dr Ellis added that in the photographs shown on the website, the borders of the ring are often not tape, but something with a little height—this will encourage the cat to rest in the space it makes. The fact that a smaller space appears to encourage this behaviour also suggests this to be a plausible hypothesis.